Unless you have been living underneath a rock, I am sure that you have seen the latest Coca Cola commercial that aired during SuperBowl Sunday that featured a diverse group of Americans including a woman who wore a headscarf while singing the classic American song “America The Beautiful.” As an American who does indeed wear a headscarf (also known as a hijab), I almost had tears in my eyes. Why is that? I think it is the first time ever that I have seen a hijabi (woman who wears a headscarf) in a way that does not illustrate her as something “other” or “oppressed.” In fact, I teared up because for the first time, I felt like a commercial was able to capture me as I am: an American. I am not an oppressed foreign woman with no voice of my own. I am a woman who was born and raised in the United States. I am educated and I have the same sentiment for my country as everyone else does. In fact, I am surprised it has not come sooner. It is sad that it takes market segmentation for companies to realize that there should be more inclusion. Why can’t popular culture be the first to embrace hijabis? Why did it have to be corporate need for profits among immigrants to make the shift? 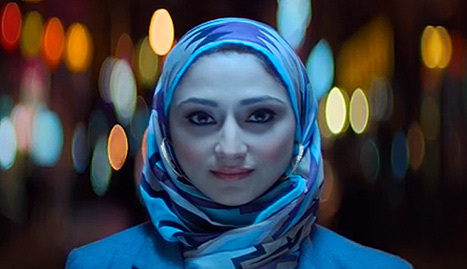 However I am not going to complain because in the end while Coca Cola was inclusive in order to resonate with my demographic to sell soda, it has also blazed the trail for other hijabis to enter the public popular culture sphere. We are women who want to dress modestly, but we also want to be heard and included in the public dialogue. Especially about ourselves. For so long, Americans have had a dialogue about Muslim women without asking Muslim women to participate. That was not only paternalistic, but it was also misleading to the American public. Muslim women in America are here, and we do want a say in what is portrayed about who we are in the media. So thank you Coca Cola for opening that Pandora’s Box. For while it may have brought out the ugly racists and bigots, it has also brought out one last thing: Hope. This article was so on point! My husband and his friends were so excited when they saw that. It felt like a small victory. I concur! Thanks for making a blog about everything I was feeling:) Very well said and expressed. People tend to view Muslims as “foreign or the other,” this commercial and blog really instilled a little bit of hope in me. I love following your blog:) Thank you for being a strong And well balanced muslimah. The world needs more women like you! Thank you hot mama! Your words mean a ton to me.